So here we are at the start of the Bronze era of the show which had in the break between seasons moved networks to UPN. This first episode though picks up the story give months after Buffy sacrificed herself to save her sister Dawn and close the gate opened by Glory. 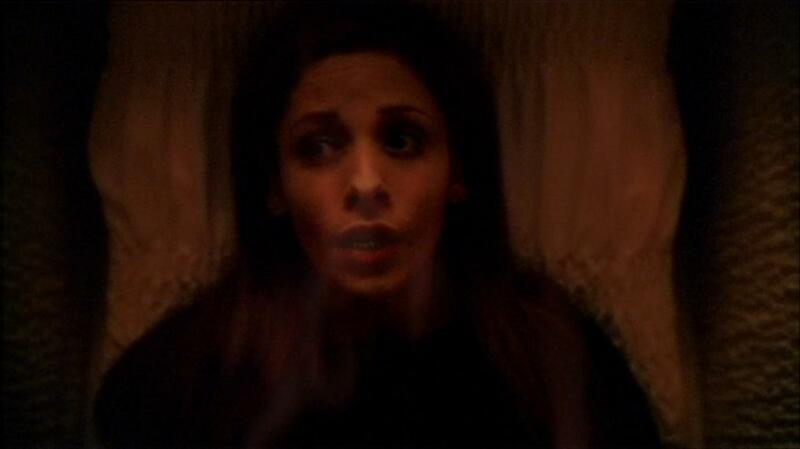 In the meantime Willow has taken it upon herself to become the group leader while the Buffybot acts as a decoy to the local Supernatural population maintaining the illusion that the Slayer is still alive and active in Sunnydale. Rejoining the Scoobies minus their leader its unsurprising that we find them in a state of disarray as we open to them struggling to defeat one vampire reminding them all of how much they are lost without Buffy. True they might have the Buffybot but its still heavily flawed despite Willow continuing to tinker with its programming. As such the group find themselves with little choice but to try and resurrect the fallen slayer. Walking a fine line between the melancholy and humorous its a strange start to this season yet at the same time kind of a refreshing change from the usual season opener weirdness we usually get thanks largely to the randomness of the Buffybot who might be able to handle Buffy’s slaying duties but fails miserably at passing for a human unless she happens to be at a PTA meeting were she just blends right in. The other issue with the Buffybot though is that it serves to remind Spike of his part in Buffy’s death as he now finds himself racked with guilt over her death, taking it upon himself to be Dawns protector in her place. Seeing Spike showing such human emotions despite the lack of soul really marks an evolution for his character though its unclear if this is because of his feelings for Buffy or just from the fact he’s remained with the group for so long now than his own kind. 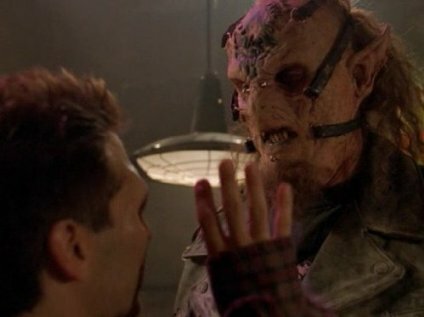 While on the subject of issues though, here we still find ourselves with the same ongoing issues surround Willow and her magical ability which now sees her building up to necromancy to bring Buffy back from the dead. Once more this is the same issues we always have in that there has been zero noticable progression in her training, yet whenever she needs to do anything its zero problem to her while at the same time Tara who is constantly with Willow has remained on the same power level. The pointless use of magic here continues with Willow telepathically guiding the group in their pursuit of the vampire who it must be noted is quite the portly vampire making him you can imagine not exactly the hardest vampire to track down. When we get onto the resurrection the magic is however it is treated with a suitable build up with the writers allowing themselves one quick jibe by having Willow find the all important “Urn of Osiris” on Ebay. We also get to see a hint of her dark side as she slays a foal to get the blood required for the ritual. Ending the episode on the resurrection its still an impressive assault of effects which really sells the danger of the magic as Willow is continually tested both mentally and psychically throughout the ritual which she is left feeling has failed due to the interruption by demon bikers and leaving the episode on the rather chilling note of Buffy now resurrected but still trapped in her coffin underground. While the episode might be focused on the group the demon bikers are a fantastic addition to the Buffy-verse and certainly a foe I would have liked to have seen more of outside of this two part opening. Still if anything is going to address the peril that a slayerless Sunnydale could find itself in they are certainly the presence to do it.